All Seasons Home Watch of Kerhonkson, New York, has earned Accredited Member status from the NHWA. 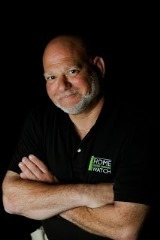 Owner Eileen O’Neil is proud to offer Home Watch services to the eastern Catskill Mountains vicinity of New York State. The natural beauty of the Catskills attracts the attention of second home owners from all over the globe, as well as permanent residents working and living in this part of “Upstate” New York. Whether you own one of the many historic homes or one that has been more newly built, it can be disconcerting to be away, especially during and after seasonal storms that have become more prevalent in recent years. The wooded and mountainous geography brings challenges with power outages, downed trees, and frozen pipes, to name a few. Eileen lives in this eastern Catskill area in an historic cabin in the woods by a stream. She is a geologist and has had a career in the field of civil engineering. Eileen raised two daughters on a livestock farm, enjoys riding her horses, and has a lifelong background maintaining her family’s coastal renal homes in Massachusetts. She understands the effect of weather on structures (sea-level or mountains) and can identify the needs of a home to preserve it. Eileen is local, so whether folks are weekenders to the Catskills and need scheduled observation of their properties or just take periodic trips away, she is always available through all seasons and flexible for clients’ needs. If you are having sub-contractors in, Eileen has the experience in construction to accurately report observations of progress, which can be a comfort to owners at a distance. She looks forward to assisting clients with their properties and imparting her experience in her beloved Catskills. All Seasons Home Watch serves Ulster County, Southeast Green County, and Eastern Sullivan County. You can reach Eileen at (845) 417-1191 or at allseasonshomewatch@yahoo.com. Learn more at her website, www.allseasonshomewatchllc.com.